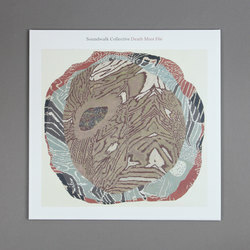 Soundwalk Collective - Death Must Die. Vinyl LP. Bleep. Soundwalk Collective drop a new LP a short seven months after the release of their album of Jean-Luc Godard reworkings What We Leave Behind. Death Must Die finds the NYC/Berlin group returning to the business of creating original music with gusto. Taking dub science as their starting point, the tracks here cast off into explorations of rhythm and ambience in a manner that nods to Mo Kolours, Huerco S. and Bokeh Versions.